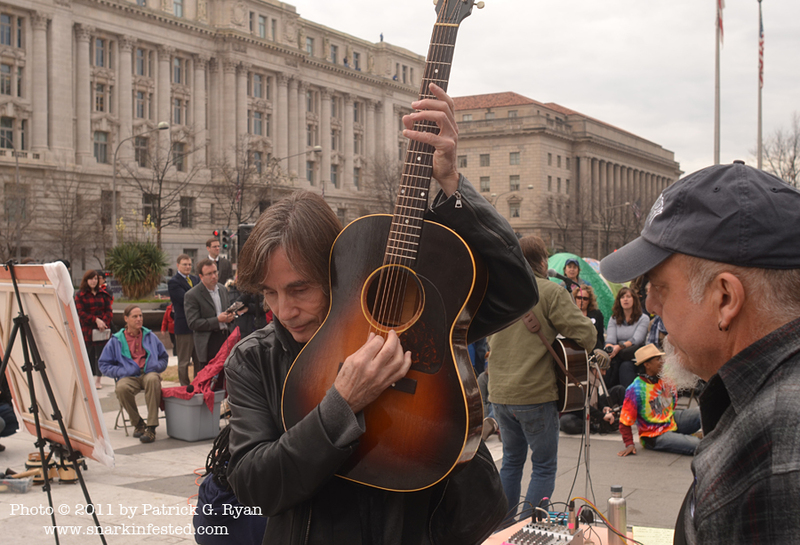 12/05/11 Jackson Browne tunes up “backstage” before singing to Occupy Washington DC at Freedom Plaza Monday afternoon. I had no idea that Jackson Browne was going to be singing at Freedom Plaza this afternoon – I just happened to be walking by, and I heard his voice from across Pennsylvania Avenue. The crowd was incredibly appreciative. I wish I could find a recording for the last song her did as an encore — perhaps it is still a work in progress? It sounded great.